Every day in every moment, people may get music from any sources like a CD or online, and as a matter of fact, those MP3 files may vary in quality and size. 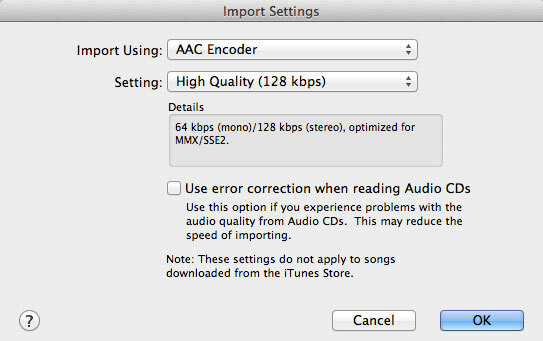 It might be problematic to enhance lower quality MP3 files but to reduce MP3 file size on Mac can be useful sometimes for meeting your needs. As long as the audio doesn’t go below a certain quality threshold, the audible quality won’t need to suffer at all. What is MP3 File Format? MP3 (MPEG-1 Audio Layer-3) is a standard format for compressing a sound sequence into a smaller file (about one-twelfth the size of the source file) while preserving the original sound quality. MP3 is one of the most commonly-used music file types which provides near CD quality audio. It is not MPEG 3 but uses the audio compression found in layer III in MPEG 1 or 2 video files. The name MPEG is short for the Moving Picture Experts Group which was created in Germany in 1991. Its sound quality varies by the factors like bit rate, sample rate, joint or normal stereo. MP3 has a replacement in MP3pro which provides better sound quality for a given file size. 1. Obviously, smaller audio file size can save the space on your computer and the devices you’ve saved it to. 2. If the presentations you create are in small size, you will get faster presentation to make your audience satisfied with more patience. 3. It becomes much easier to save a smaller music file to a CD or a USB drive. 4. For people who is a podcast producer, a DJ or a musician, compressing audios for creating music mixes is necessary. 5. Small MP3 file size is perfect for online uses such as for easier streaming. 6. Get smaller file size of your audio files to fit on your portable music players or other devices. 7. When sending the audio file as an attachment, it should be in small size for easy downloading. The audio file size can be influenced by several factors which include codec, audio settings like bitrate, channel as well as sample rate. Codec explains the way how is an audio file compressed, which means how small audio file size you will get. Bitrate determines the quality of an MP3 file and higher bitrate leads to better audio quality and larger size. Channel shows the way audio travels from the source to the destination. A stereo source has two channels and a mono source just has one. Sample rate is related to the number of samples of audios carried per second. Lower sample rate means smaller size and MP3 files usually use the sample rate of 22.05 kHz. Any audio of 128 kbps can offer CD-quality sound in the condition of high-quality audio source and good type of speaker or headphone you use. Generally speaking, if the sound is below 128 kbps, it will be easily distorted and if it’s at 8 kbps, it will be hardly recognized. As we know, there is a relationship between audio size and quality. To get the sound in top quality, you must accept the largest file size. On the contrary, smaller audio file size results in lower quality. After you are clear of this fact, you have to decide which one to choose: quality or size. That depends. If your audience have enough time and patience for downloading a high-quality audio file, you can choose quality. If they prefer faster download speed and think the low-quality audio is acceptable, you can choose smaller size. 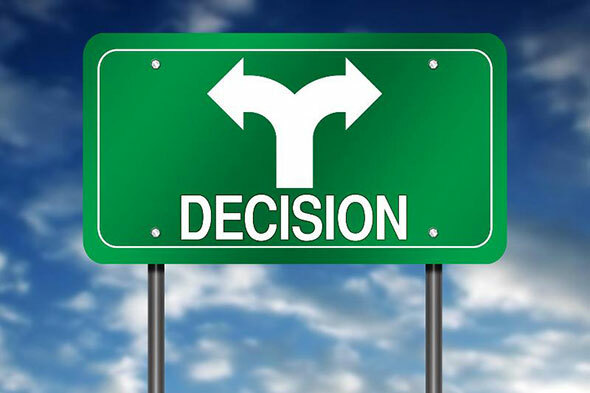 You need to be deliberate in the process of making a decision to get the best compromise between them. 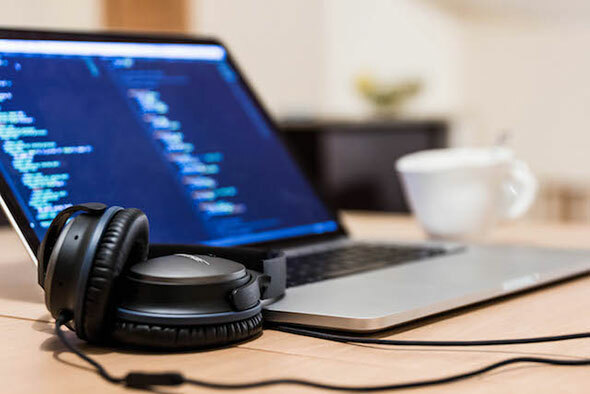 There are several ways to solve the problem and you can try the below methods to get any wanted size of your audio file easily. For Mac users, it’s a quick and easy way to reduce MP3 file size using iTunes. Go to iTunes and click “Preferences” to get into another window of “Import Settings”. There you need to choose an audio format in the menu of “Import Using”. Go to “Settings – Custom”, then you can specify the quality settings. 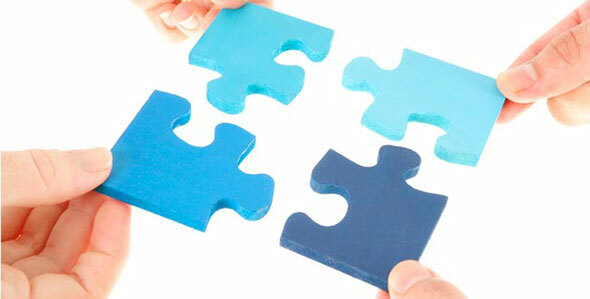 Now, right click the file you are going to compress and choose “Create MP3 Version”. With a few seconds, the audio file will be compressed in the quality you specified. You can find it in the iTunes music. MP3Reducer is an easy-to-use and convenient tool to reduce MP3 file size online, but it may come with some limitations. Although the majority of these online services are free, many of them require registrations. They may set limits on the number of files and the file size. The uploading and processing speed is frustrating at most times. Internet connection is necessary regardless of where you are. The final result and output quality may be disappointing you and you will never find any additional features for other uses. If you are searching for a way which works with no internet connection and provides a great list of extra functions, you can try using All2MP3 for Mac. For those who never use sound processing programs before, it can be a fairly straightforward method for reducing audio file size. Although it provides many additional features including audio conversion and audio extraction from video, it is capable of reducing MP3 file size on Mac. The whole process is no less than 3 steps and you can follow the below tutorial with ease. Step 1. Download and install this light program and it will take just a few seconds. As it is malware-free, you will never be bothered after the installing process. Step 2. After that, click the desktop shortcut icon and it will be opened immediately. 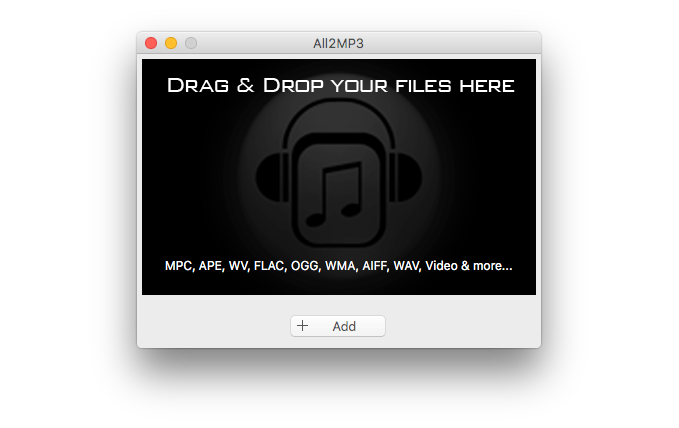 You can drag and drop your MP3 files into the program window or click “Add” for file uploading. Step 3. All the files added will be listed and you will find a quality slider bar below with a green round button. Drag the slider to different numbers (that is bitrate), which is related to the file size. The smaller the number is, the smaller the file size you will get. If you want to get the smallest file size, drag the slider to “32”. Then, click “Convert” and the compressed audio files will be saved in the output folder you specified. File size: Both MP3 and AAC are compressed file formats, meaning the sound is balanced by making it take up much less space on your portable devices. Generally speaking, AAC is slightly smaller than MP3. Compatibility: MP3 is the universal digital audio format, so users can count on nearly all devices being able to play it. AAC is less ubiquitous, but it can be played on most devices today, especially all Apple products are included. Audio quality: What people care about most is how good the music sounds in each format. It can be tough to distinguish the audio quality between MP3 and AAC when you listen to them on most devices, but AAC sounds better sometimes. DRM: DRM (Digital Rights Management) is the restriction put on how to use and share music. It can be applied to either MP3 or AAC. DRM files will be produced only if you buy them from a store, so it’s worth finding out if it’s present. Although AAC is the native audio format for iTunes, it can also be used on a variety of non-Apple devices. For those who plan to use iTunes and iPod or iPhone for a long time, it’s better to use AAC format for their digital music. Plus, they can always convert AAC to MP3 using iTunes if there is the need to switch to a device that doesn’t accept AAC.